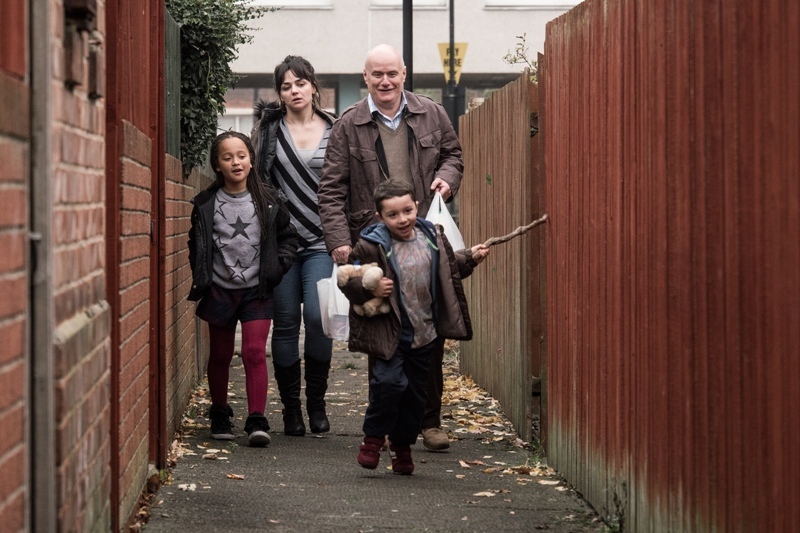 Ken Loach’s newest offering I, Daniel Blake sees a director with real purpose, putting his more than half a century as a storyteller to brilliant use. The film perfectly captures the heartbreaking bureaucratic nightmare that is our current welfare system. This year’s Palme d’Or winner will grip hold of you and keep hold long after the credits have rolled. The script from long time collaborator Paul Laverty is incredible. A keenly observed piece which has benefited from intensive research, you can see the diligence in every scene as it’s firmly rooted in a world we all share. The central performances of stand-up comic Dave Johns in his first film role and newcomer Haley Squires more than add to this, with genuine characterisations bringing to life two characters you probably encounter on a daily basis. Though there’s the grim realisation of just how relentlessly cruel the system designed to help those most in need is, the film is also a champion of just how kind we all have the potential to be, unflinching in the way it presents these two concepts hand in hand. Daniel Blake is a carpenter and widower, who, after a recent heart attack, is told by doctors not to work, but is also deemed “fit for work” by a ‘healthcare professional’ from a company whom the government has outsourced these decisions to. He’s stuck in a catch 22 limbo he’ll spend the film trying to escape. Johns’ portrayal of Blake is one of a thoroughly decent human, one you can’t help but warm too, almost heroic in his goodness, but that never makes him any less real. Daniel Blake serves as a timely reminder people like this exist in their droves, and we as an audience watch on as baffling procedures and processes put in place for those out of work, slowly chip away at every shred of self-worth he has. Sharing the screen with the titular character is Haley Squires, she is Katie, a single mum with two kids forced to relocate to Newcastle which then leaves her stuck in and slowly broken by the same system. Neither character ever appears a victim, even as they have their self-respect stripped away over and over again. Though tinged with sadness, the two performances show lingering moments of strength and fight, which makes it all the more heartbreaking to see the light in their eyes slowly flickering out. That’s how I, Daniel Blake gets you: hard, and right where it hurts most. These never feel like characters in a film, because though played by two actors, they’re not. Filmed chronologically, with the actors only given a few pages at a time, they bring to life every moment of the tedious, jargon-filled, sanction-threatening world our welfare state has become. You feel every moment with them. Infuriated by the same fobbing off they get again and again, that hundreds of thousands of people get, stuck in a vicious circle from which there seems no escape. Tackling important social issues is never something that Ken Loach has shirked. Fifty years on from groundbreaking television play Cathy Come Home, which tackled the issue of homelessness, he’s still fighting to give a voice and a name to those that need it most. It’s worth looking back at Cathy Come Home to see that though it made great strides in spotlighting the plight of homelessness in this country, we’re in a far worse situation now all these years later. That’s why it’s so important that the overriding feeling that you’re left with after the hundred minutes of screen time is anger. Righteous indignation that we’re part of a society that has allowed this to happen. The world you leave the cinema to join, is the one Katie and Daniel inhabit throughout the film. You can’t watch this film and not have that anger overtake you. While there’s a satisfaction in seeing how beautiful the shots of Grey Street can look on film, or seeing somewhere you recognise in Byker, you know there are spots on those streets saved for soon to be homeless, with nothing in place to help them. You know the scene in the food bank is true, it happens, and no matter how profoundly tragic it is, and how iconic that scene becomes, it leaves an audience feeling that this has to mean more than just a few minutes of film. Loach’s direction, and Laverty’s script, together with some perfectly pitched performances throughout make for cinema that is brutally honest; it doesn’t shy away from showing every step of the processes designed to wear people down. There’s no moment MPs can come back to and say that inspired them to make a difference, these are real stories and they should already know. Loach, Laverty and cast seek to give these moments a platform. Hopefully, the people most inspired will give to food banks, or volunteer, and it’ll inspire fight to challenge a system that is utterly broken. The heart of this movie lies in the characters that embody it, the small moments of kindness and compassion portrayed throughout. It’s a film with warmth, and there are some wonderful laughs, but it never plays at anything other than speaking the truth. Set against Newcastle’s often grey backdrops and using no score, the utter tedium of the hoops both central characters are made to jump through make you feel the same incredulousness they do. Two of the few pieces music used show the contrast in the film beautifully, a cassette of his late wife’s favourite music could not be in starker contrast to the hold music he is forced to endure again and again. This isn’t just a film you should go see; it’s really important that you see it. This is the world we live in now, and have for some time. Daniel Blake isn’t just one man; he’s thousands upon thousands of men and women who’ve died as a result of selfish Tory ideologies. There are 16 million people who have less than £100 in the bank, and are just one bad bit of luck away from a similar fate. Daniel Blake serves as the voice of those people, and the face of those people, and just maybe, a little bit of hope for those people. I, Daniel Blake continues at Tyneside Cinema until Monday 31st October.